Over the last decade the European Union has been going through a stage of reconstruction. With new member states coming and some flirting with the idea of leaving the trade block has been under incredible stress. 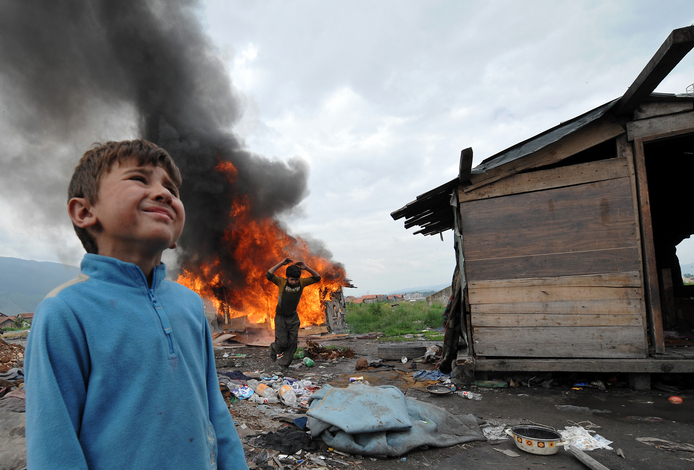 For the Roma of Europe this stress has helped increase the hate crimes targeted at them and their children. Yet surprisingly in the land of tolerance and multiculturalism, European authorities have been slow (if responding at all) in helping stem the tide of hate. Over the years the socialist movement within Europe has often targeted the Roma since most members of society do not emphasize with the Romani. The most notable case would be the Porajmos under the Nazis. However in recent years the socialist have been just as capable of reconstructing the great devouring. In 2012 France alone was able to deport at least 11,803 Romani. Rounding down, around 80 percent of these were forcibly removed according to the European Association of the Defense of Human Rights (AEDH). Most of these had their possessions burnt or destroyed by local authorities as their homes were bulldozed. President Francois Hollande was the man who pulled the trigger on each and everyone of these deportations... the socialist leader of France. "This is incredibly worrying and very disappointing given that Francois Hollande made a pre-election pledge to change the way the Roma were being dealt with in France," Victoria Vasey from European Roma Rights Center. "But it just looks like business as usual." During August of 2012 the UN warned France that its deportations of Roma were in direct violation of the international human rights convention. However since the fall of 2012 the French leadership has ramped up their attempts to deport Romani. They continue to claim that these Roma are illegal immigrants from places either outside the EU or from member states right at the border of the trade block. Most are being sent to Romania and Bulgaria (members of the EU) since the citizens of these two countries are not legally allowed to travel within the EU without proper papers and passports. And since Romania and Bulgaria openly discriminate against the Roma, it is unlikely that the Roma will be given access to passports by local authorities. To further complicate things the leadership under Hollande has joined with the Netherlands in an attempt to further regulate the terms of membership that Romania and Bulgaria currently enjoy. 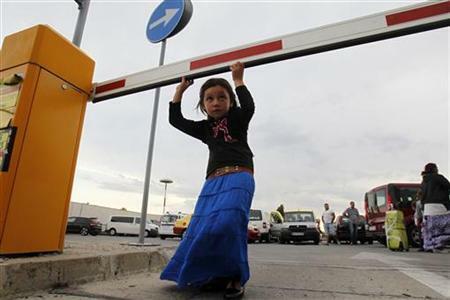 The long term goal appears to be the permanent ban on customs-free travel for Roma from Eastern Europe. This would allow the socialist in Western Europe to continue shipping off their own Roma to foreign countries from which they could not readily return. For Roma in Eastern Europe the flood of deportees has only further exacerbated tensions between their community and their neighbors. In places like the Czech Republic these new arrivals have also helped fuel more and more hate crimes against all Romani within the country. These have included rapes, murders, and the burning and looting of Roma homes. Many of the crimes have been linked to the ever growing right wing movement in Eastern Europe. But discrimination against the Roma does not stop in Europe when it comes to deportations. In recent months the Canadian government has begun its own attempts to deport Roma who arrived in North America due to violent oppression back in Europe. The first step in starting the Canadian deportations has already begun as Canada has openly told Hungarian and Czech Roma to stop applying for asylum. This move was meant to make it clear that Canada will no longer accept Roma who are fleeing violence and possible pogroms within Eastern Europe. All of this makes it ever more difficult to understand just how France, Germany, and the UK expect Roma to live in countries like Romania and Bulgaria after being deported? The Roma of Eastern Europe have made it very clear that they need somewhere to turn to get away from Nazi style attacks on their homes and community. The wave of immigrants that France claims has occurred should be seen as a call for help rather than another reason to accept the idea of passing the "Roma problem" onto the next country in line. This situation also leaves us asking why long term members of the European Union in Western Europe are not being pressured to stop deportations? Looking at the numbers of Roma immigrating from Eastern Europe compared to the numbers being sent back it should be obvious that France is deporting Roma who have lived in France for generations. The numbers simply point to the fact that the socialist government of France is deporting French Roma alongside immigrant Romani in an attempt to ethnically cleanse France of its native Romani population. So where is the outrage amongst the supposedly bighearted Europeans? Or is the issue of human rights only a topic of discussion in Europe as long as it applies to Syrians or Congolese refugees?